Is a common condition that occurs in all age groups. Pain, catching, giving way usually occurs in the groin/thigh and can be quite disabling. It can occur suddenly during twisting sports (football/squash/tennis) or during gym exercises, running and daily activities. The diagnosis is by clinical examination, X-ray and MRI scan. 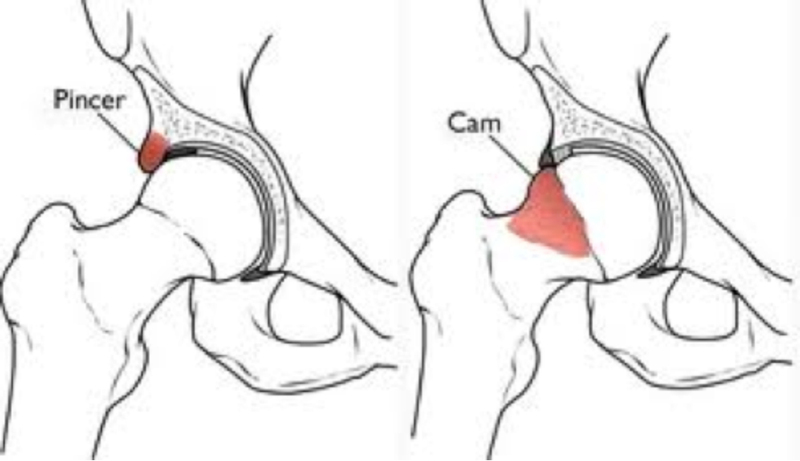 Treatment is by keyhole surgery (Hip arthroscopy) and removal of protruding bone with trimming of the labrum or repair, if the pain is bad enough and there is evidence of hip damage. Post operative physiotherapy may be necessary.